"Yes, people. Let the taunting end tonight. Between the promise of custom ringtones and now the fulfillment of 'Angry Birds', Windows Phone 7 has had its day." I don't know what the fuss is about - ok maybe I do. When one of the hottest mobile games of the past couple of years hits a new platform, it's news. I don't need to explain what its about do I? 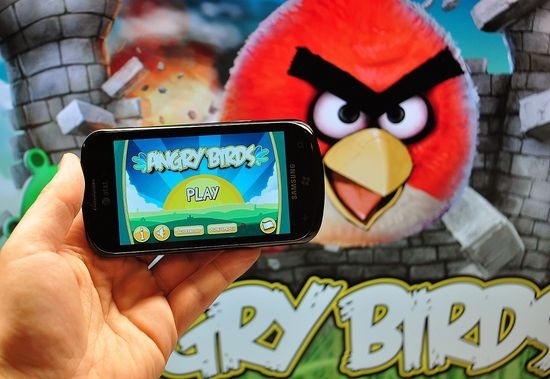 Just hit this link to check out the trial and purchase Angry Birds for WP7 for $2.99. Y'know that old 'day late and a dollar short' expression ... I would call this six months too late and $2 too much! Oh well ... at least it arrived! And just to follow up - it plays very nicely after rather long load times. I like it better than on my Android phone, but still not up to my iPod Touch.